This blog is part of a series from Castle Comfort Stairlifts that profiles the areas we serve and where our stairlift offices are plus facts about the region. Also we will give you links to stairlift information or frequently asked questions about stairlifts to guide you in making the best decision for your family. The picture above shows the Ancient High House in Stafford which is the largest remaining Tudor Town House in England. Now a museum it is also available to hire for your family functions, though because of it being a historic building and has lots of steps unfortunately disability access is restricted. 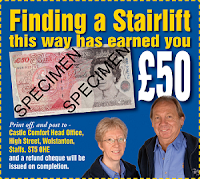 Luckily disability access isn't restricted at our ground floor riser recliner chairs showroom in nearby Stoke-on-Trent and right next door at Stairlift House you can try out a real working stairlift at no obligation and without charge in our stairlift showroom. Stafford is the county town of Staffordshire, the Creative county and has been in existence since 700 AD. Over the years it has been popular for wool, linen and shoemaking. If stretching down to get a pair of shoes on is getting difficult for you perhaps you might need some mobility products to make your life easier? 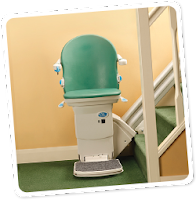 Castle Comfort Stairlifts has a local number to call 01785 318701 with a local stairlift engineer available sometimes to install the very next day. Because of their sister company Castle Comfort Centre sharing some of the same dedicated staff it is possible they can be your one-stop-shop as often people buy a riser recliner chair or electric bed to help them, or maybe just a walker to help carry things home in from a trip to the shops, in a steady way.